Another photo of the Montjuic Castle (or Castell de Montjuïc, as it is known locally). 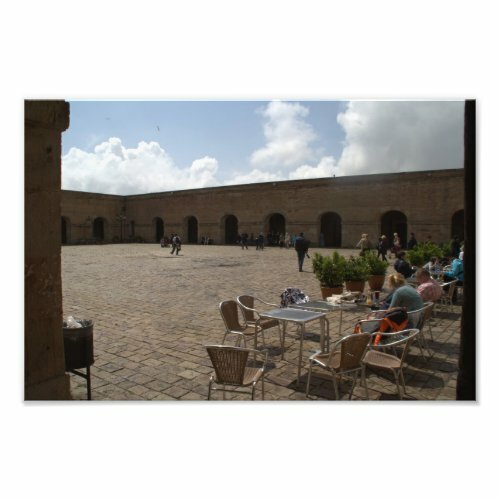 This photo is of the inner court, part of which is now in use by a cafe, as you can see. The weather looks a lot better than on yesterday's photo, even though both photos were taken on the same visit.